One of the most evocative, historically significant cities in the world, Rome has a heritage that goes back 2,500 years. All over the city you can see the remnants of one of the world’s great civilizations, enabling a journey through our own development. But it’s also a thoroughly modern city, with an abundance of arts and entertainment for all tastes. Surprisingly these two separate cities meld together perfectly, and staying in Rome is all about the experience this brings. To truly experience Rome at its best requires a hotel that reflects the uniqueness of the city, we have picked the 15 finest hotels in Rome to choose from. Located in the heart of Rome itself within the city’s high fashion district, Portrait Roma wears its exclusive Via Condotti address with pride. Like the city itself, it mixes old and new with style. The classic elegance of the building itself, the hotel is situated above the famous Ferragamo store, combining with the modernity of the Michele Bonan designed décor in an easy, harmonious way. With just 14 suites, the focus here is on service, and they certainly deliver, but remain discreet. If you want to be alone on the guest exclusive rooftop terrace, you can be. The terrace itself is a highlight, offering a panoramic view of the city. Whether you are taking breakfast in the morning or aperitivos in the evening, it is a view that will take your breath away, and remains one of the finest ways to see Rome that the city has to offer. Each suite is spacious and elegantly luxurious, with rich fabrics and understated tones that echo the city outside your window. However, there is still humor and interest, with touches like the video fireplaces found in every suite adding that touch of fun that again brings the essence of Rome itself into your room. For the true Rome experience, there is little that can compare. 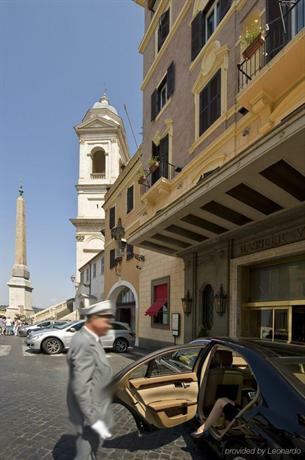 Nestled above Piazza di Spagna, the fashionistas paradise, Hotel Hassler sits within walking distance of several of Rome’s attractions, including the truly beautiful Trevi Fountain. As befitting the setting, the approach is dominated by the style and dynamism of the art deco entrance. With 92 suites and rooms, it is a hotel that remains small enough to be genuinely personal, and offers a unique take on the entire hotel experience. The rooms themselves are a diverse mix, with some having a contemporary art deco look that makes bold use of black and white, using red accents for interest, while others retain the traditional, classic designs from Hassler’s long history, using both 18th and 19th century furniture and décor in both wood and marble. If you are looking for the best views, go for a street facing room on the fourth floor or above, where the vistas of Rome will be laid out before you. At the core of the service on offer is the wonderfully evocative concierge desk in the lobby, a 19th century reminder of more extravagant times, and with a hair salon, managed by one of Italy’s finest stylists, a small spa and gym. The jewel in the crown is often said to be the Michelin-starred Imagò Restaurant found on the 6th floor, however for many, the Hassler Bar, with its less formal ambience and incredible forties details that will live long in the memory. With a history stretching back to the 1800s, it may not have quite the historical record of the city it inhabits, but this is a hotel that has survived a lot. Completely renovated over a 2-year period it reopened its doors to much acclaim in 2015, and has gone from strength to strength since. This new look Eden is classically opulent, and provides a luxurious experience for all guests. 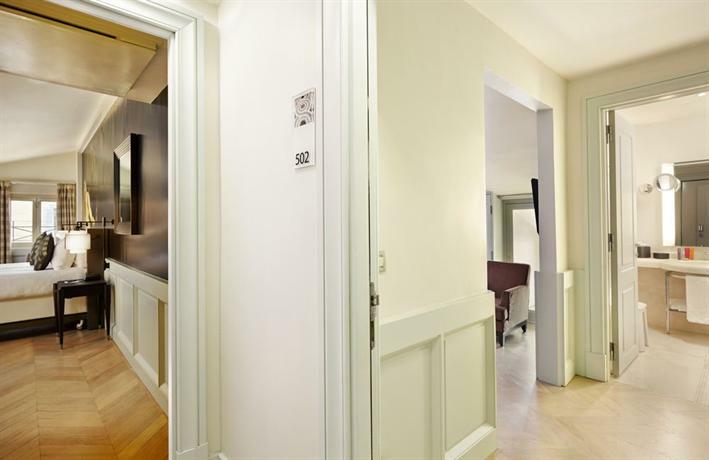 Within walking distance of the fabulous Piazza di Spagna shops, Termini Train Station and the Spanish steps, Eden is well placed for any visit to Rome. There are 98 spacious rooms, benefitting from a tasteful, subdued pallet coupled with sumptuous materials to provide a welcoming, understated feel that allows attention to be drawn outside to the fabulous views of Rome itself. In the communal areas, marble and gold add a touch of glamour that is new for this revamped hotel, and excellent service from staff is second to none at all times. With a wonderful spa and choice of restaurants, there is plenty to help you relax and enjoy the ambience, but the rooftop is the real highlight. Here is where you fond the La Terrazza restaurant, that provides an innovative menu to compliment the truly magnificent views of Rome itself that stretch out all around you. 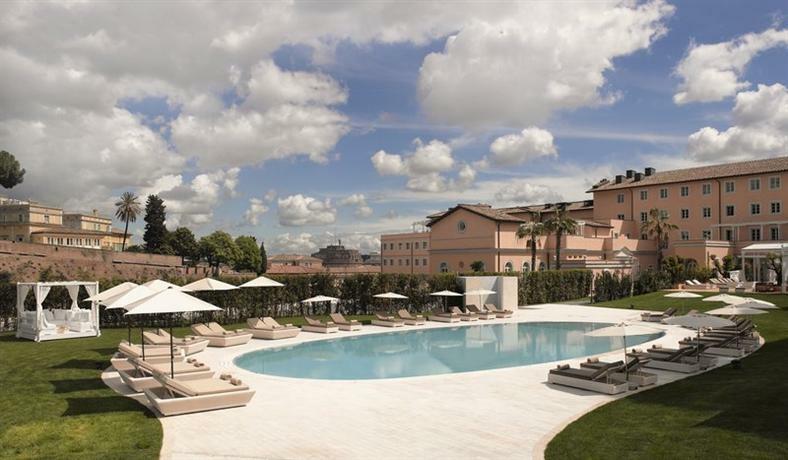 An experience of luxury and indulgence, Eden Hotel Rome provides something very special. Close to the old presidential palace, Il Quirinale, this is a hotel that is somehow close to everything. An impressive building itself, this is a building listed by Italian heritage, a true palazzo as beloved by Rome’s favored inhabitants for centuries, and that style is carried both inside and outside the building. 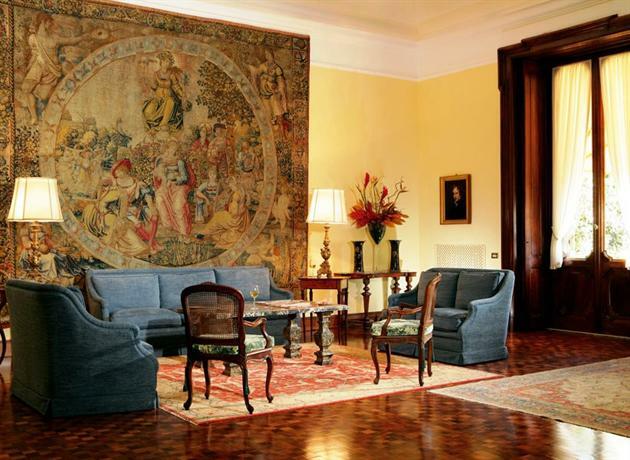 The lobby feels almost like a museum, ornate and very much as you expect a stately home to be, it brings the opulence of old time Rome to your stay. With just 15 rooms, as you can imagine, this feels more like a rented home than a hotel, and the service befits that feeling. With wonderful gardens that are perfectly manicured, you can even take dinner out there in the summer, while afternoon tea is served in the Sala del Camino, for a touch of Roman elegance whatever the weather. The rooms take the luxurious feeling to a new level, here you will find Fiandra linen sheets, cashmere throws, marble bathrooms and elegant touches throughout. Villa Spalletti Trivelli is all about the experience, giving you the chance to be one of Rome’s aristocrats, living in your own palazzo and enjoying the beauty and luxury of that life, at least for the duration of your stay. Less a hotel and more a glimpse into a different world, this is a place to build memories that last. 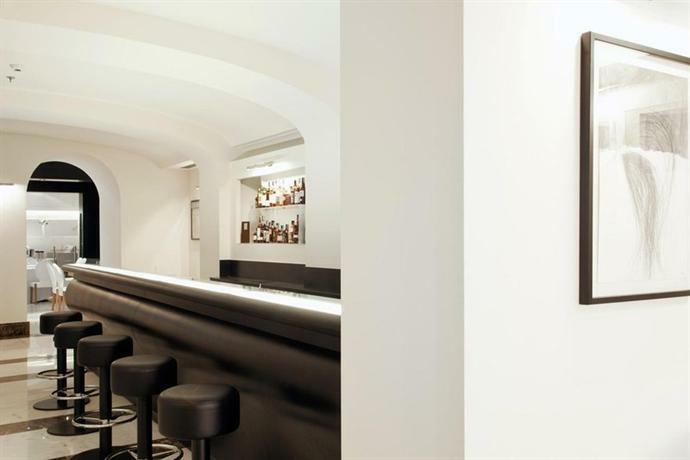 Located in the historic center of Rome, on Via del Vantaggio, The First Luxury Art Hotel is positioned well for any of Rome’s attractions you may want to visit. This is a hotel that really is unlike any other, because it’s also an art gallery. A very good one too. Showcasing the work of artists from around the world, the art dominates the experience, with more than 100 new and interesting pieces to view at every turn. This modern hotel has 29 large, comfortable and impressive rooms hidden behind its 19th century façade. Complimenting the abundant artwork are wonderful Carrara marble surfaces combined with bright colored materials for a thoroughly chic, but elegant interior. Great service is again a feature, Rome really does make you feel welcome, and the rooftop bar offers a panoramic view of the city, interestingly different from this central position. With a choice of fine dining in the ground floor restaurant or more informal eating on the rooftop, there is always something to match your mood. A wonderfully unique place to stay, for art lovers it really is somewhere you must visit at least once. An impressive, traditional building with a pillar guarded, broad entrance, St Regis looks every inch the classic luxurious hotel, and it does not disappoint. With a 24-hour butler service, all common spaces and every room adorned with antiques that give the entire hotel a sense of importance, this is a luxury hotel in the traditional sense. The hotel restaurant continues the elegant theme, bringing a 1940’s atmosphere and fine dining together it is like a movie made real. 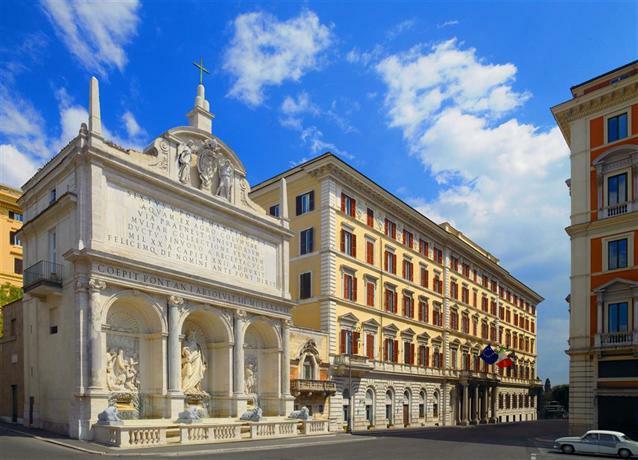 Whether you choose one of the 138 rooms or 38 suites, this is a hotel that brings a sense of historical majesty to modern Rome with every visit. A handsome pink building that houses 154 spacious and tastefully furnished rooms, the Grand Hotel Flora is impressive in scale and service. Right next to the renowned Villa Borghese gardens and a short walk to the 2000-year-old historic Roman walls that form part of Rome’s undeniable charm, it is well positioned for your stay whatever you plan on doing in the city.You can take in the magnificent view of the Vatican from the rooftop terrace, while enjoying the wonderful dining available from the restaurant there. 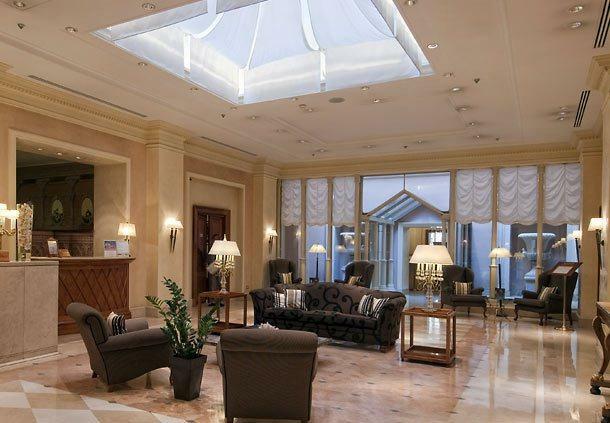 A magnificent hotel, perfectly located and with a touch of opulence that just enhances the Rome experience. Situated in the Via Veneto area, Hotel Splendide Royal sits on the hill looking down towards the historic center of the city, presenting wonderful views from many of the 68 rooms. Opulent throughout, but retaining a friendly atmosphere, the staff and surroundings make you feel instantly at home from the moment you arrive in the lobby.From the wonderful roof terrace restaurant, the views really are magnificent, some of the best in Rome, and the rooms themselves are wonderful spacious and comfortable. A great place to stay for those looking for a little quiet time, and a lot of luxury. It may be unexpected, but this former convent makes for a truly spectacular hotel right in the heart of historic Rome. 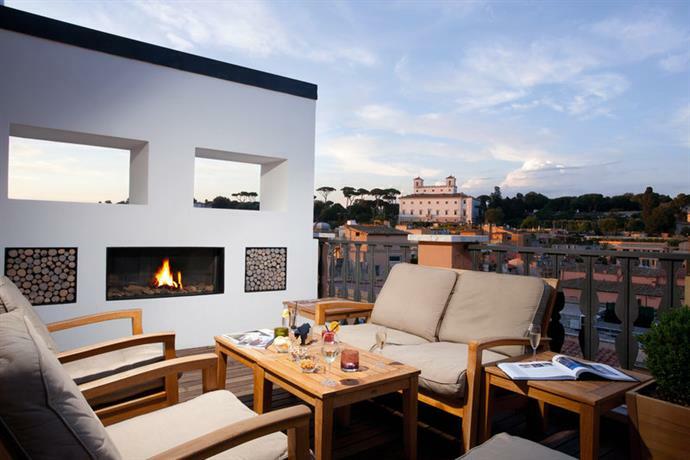 Built on the site of the home Emperor Nero’s mother lived in, it is close to the Vatican and the Pantheon, and the beauty of the hotel extends both inside and out. Inside, each of the 116 rooms on offer have a modern feel, full of Miami style with a hint of Italian flair, while outside, beautiful gardens evoke the Rome of old. This is a remarkable hotel with exceptional service that manages to blend old and new in a unique and glorious way. Il Palazzeto is a gem, hidden away between a metro station and a pizzeria, you may even miss it if you don’t pay attention. The entrance is hidden away through an arches stone doorway, and going through takes you into a mesmerizing space of elegance and beauty. 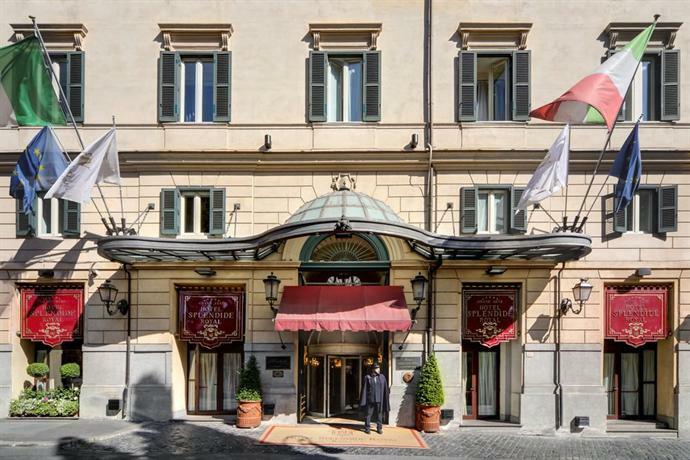 A true landmark of Rome, the hotel was formally the residence of a noble family, and that idea of elegance and traditional roman style pervades the entire hotel today as well. It really is beautiful, the magnificent marble staircase that rises to the incredible rooftop terrace being a particular highlight. Excellent service, warm, welcoming staff and rooms that are all unique and tasteful complete a package that puts you in the heart of Roman life. Situated high above the city on Monte Mario, this is a resort with something for everyone. While it is far enough away from Rome’s many attractions to make taxi use essential, the view that this location provides is a tradeoff worth paying. Sitting on the hill surrounded by amazing green space, the hotel does provide a free shuttle bus to the city center for guests. 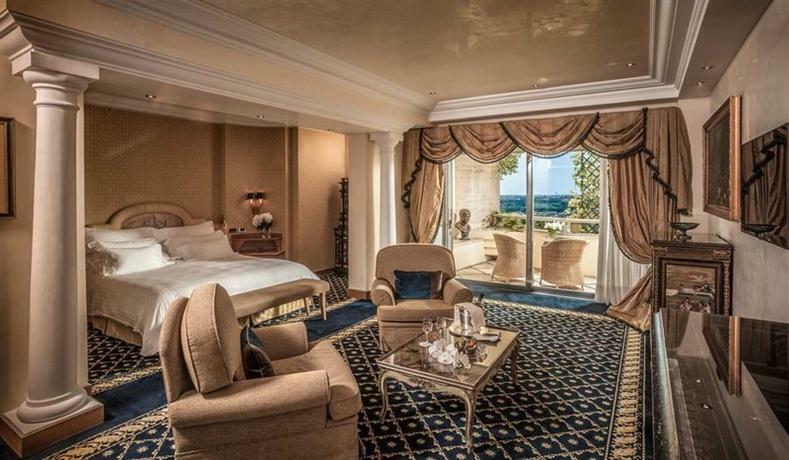 Rooms are all exquisite, with an opulence that is only overshadowed by the views from every window. Excellent service is standard, but here that means a lot, with a huge, 25,000 square feet of pools, saunas and Turkish baths at your disposal should you wish. More than a hotel, it has much to offer, and with views that will live long in the memory, is one of Rome’s finest places to stay. 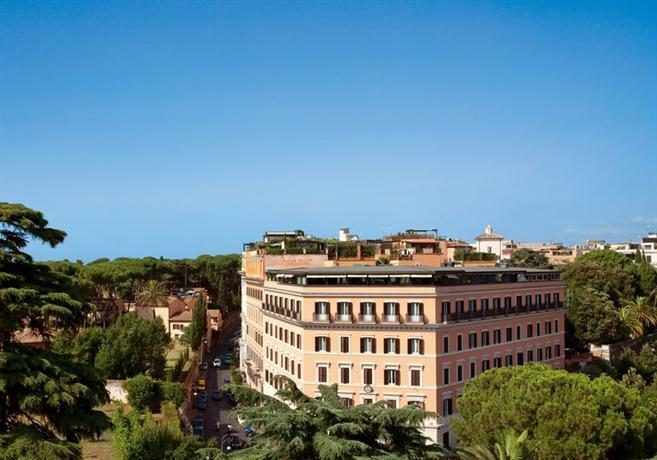 A striking mustard colored building, Sofitel Rome Villa Borghese sits aside the Borghese gardens, providing both wonderful views and a convenient location for ease of access to Rome’s many attractions. This is an unashamedly modern hotel, using marble floors of vivid color, black and white photographs of Italian icons, and a plum colored theme for the sumptuous fabrics to create a unique, but current look. As a contrast to the views of historic views of Rome that surround you, its ingenious, and it works. 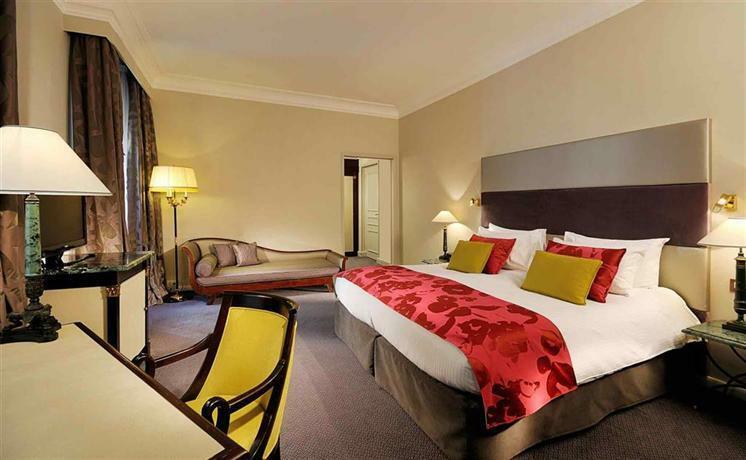 Rooms use the latest technology to compliment traditional luxury, with state of the art mattresses and audio systems designed to connect with your phone to add that extra personal touch. On the rooftop terrace you find not only mesmerizing views, but an award-winning restaurant that is one of the finest in the entire city. A different take on Rome, and a real experience. Close to the Vatican and housed inside a real palazzo from the renaissance, Hotel Indigo Rome - St George is a compact, elegant hotel that focuses on wonderful dining and exceptional service. Right in the center, it has the luxury of being situated within a restricted traffic zone, so not only is it an ideal for walking to any attraction you may want, it is also one of the quieter places in the city as well. The rooms hint at the art deco style without veering too far from a traditional décor, but it creates a pleasant elegance that works well. The highlight is the restaurant, I Sofa di Via Giulia, providing an exceptional dining experience that elevates the overall experience significantly. 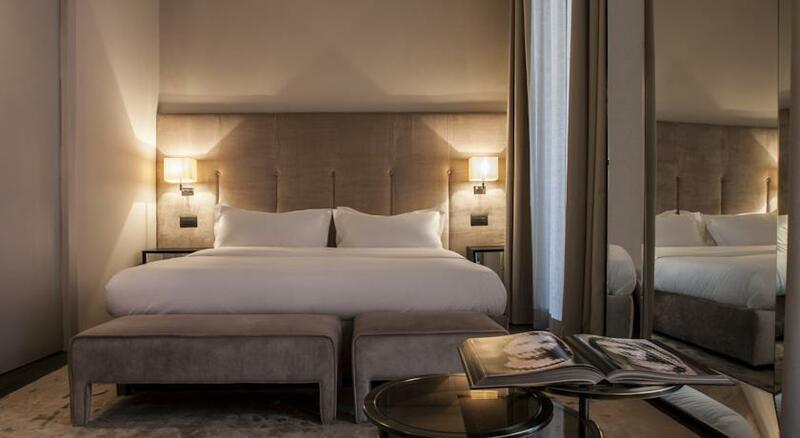 136 rooms positioned at the heart of the city in one of the most historic buildings on Via Veneto, wrapped up in a vibrant and evocative art deco style, Baglioni Hotel Regina is one of Rome’s jewels. Whether you are visiting the historic sites, shopping or taking a trip to the theatre, it’s all within walking distance. 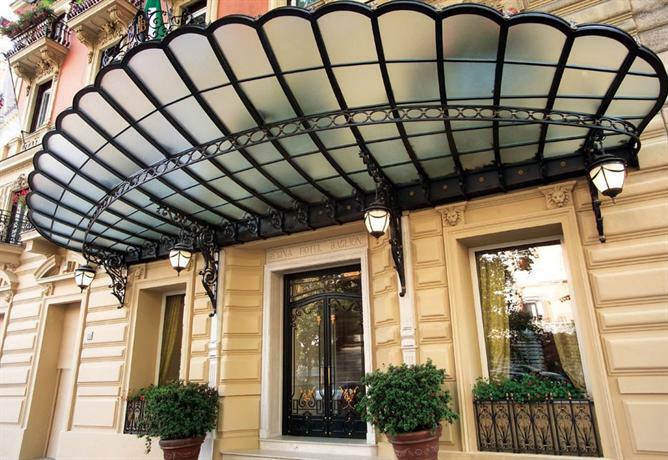 This is a hotel that is exactly what you would dream an Italian hotel looks like, with flair and color, style and elegance, it exemplifies Rome’s style over the last two centuries. A fine restaurant, excellent service and a lovely café provide a real taste of Italian life. In a market full of elegant and traditional hotels that live up to the dream of Italian style, some more than others, DOM breaks the mold to bring some urban flair to a visit to Rome. This hotel sets the scene for you in the entrance, with no less than 3 original Warhol pieces in the lobby. Originally a monastery, there is still something baroque about the décor, but it is very much modern and masculine. Situated in a restricted traffic zone, it’s a quiet place to stay, and with their cashmere rugs, silk fabrics and modern chrome and glass bathrooms, it’s a wonderful place to be. A rooftop terrace and a wonderful restaurant are on offer too, with a modern menu that befits the overall atmosphere. It’s something unique, and a very different take on Rome.